Mold growth is typical in a variety of climates and homes. There is no shame in having experienced these types of problems. However, while not uncommon, mold comes in all shapes, sizes and species, and it can be beneficial to understand the kinds of household molds and how to prevent or treat them, ensuring a safe and clean living environment for you and your family. Food mold is likely the most common type of mold, and most people experience it as bread mold. You may look in your bread drawer one day, and everything is fine, but the very next day you see areas of green and black blotches on some of the pieces. This type of growth is natural and likely unrelated to any particular underlying problems in your home. Another common type of house mold is surface mold. As the name implies, the mold growth is restricted to the surface of an object. This type of mold may be remedied quite easily by using certain over-the-counter cleaners. However, it is essential to make sure that the mold issue is indeed surface and does not penetrate the drywall or framing. A mold infestation typically occurs in areas with significant water damage or spaces with high humidity levels. Unfortunately, a problem like this usually requires deep penetration of the structure to ensure that the area is clear of the infestation before restoration. 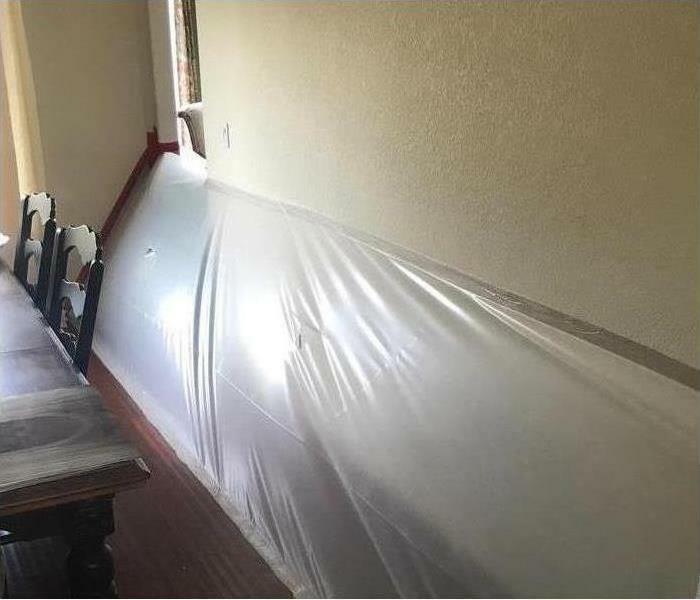 Whether you only suspect a problem or have the water damage to prove one, it is beneficial to call a mold remediation specialist in the Milwuakee, WI, area. Mold can be invasive and dangerous. Specialists are certified and capable of remedying your problem quickly and efficiently without risking the safety of you or your family. 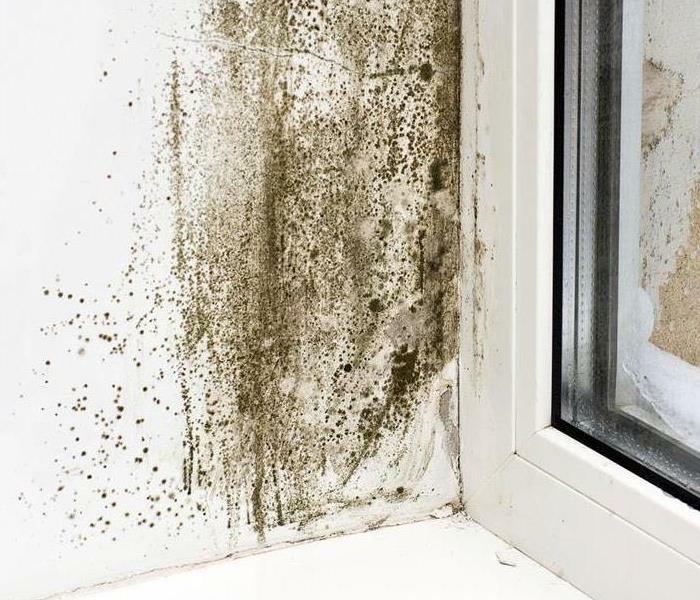 Mold growth is common in homes, and while food mold and surface mold are relatively simple and easy fixes, mold infestations can be dangerous and present a more substantial risk to the integrity of your home. When dealing with large mold problems, it is likely best to hire a professional. A fire disaster in Wisconsin can cause serious damage to your house. The resultant flames, smoke, heat, and even water can have permanent repercussions on the structure and many of your items. 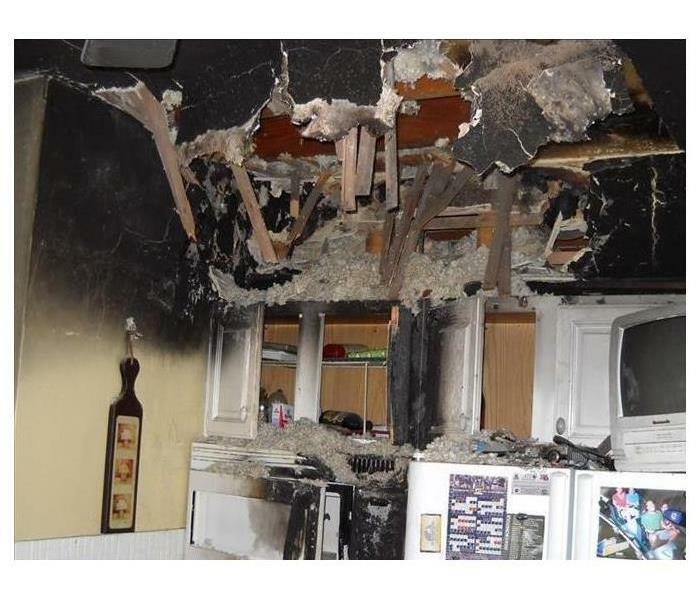 The contents that survive fire damage may sustain extensive smoke damage in exchange. The firefighters may also cut holes in the walls or roof when putting out the flames, leaving you with a massive cleanup job. Time and patience are crucial when dealing with any form of fire damage in Waukesha Co. Once the fire fighting crew leaves, SERVPRO can come in and initiate the restoration process. We have highly skilled, IICRC-trained technicians that are on standby in case of an emergency. Using special smoke cleanup and restoration techniques, we can restore your property to preloss conditions, "Like it never even happened." When the fire calms down, the resultant smoke damage appears in the form of discolored walls, charred items, or soot and ash on the floor. In some cases, other side effects such as smells can remain behind, presenting health risks to the occupants. It is important to keep in mind that some signs of smoke damage can show almost immediately while others take several hours (sometimes days) after the event to manifest. Within a few days of smoke and fire damage, walls and flooring may turn yellow (although this yellowing effect does not show right away). Warping and discoloration can also occur on wood and plastic surfaces/appliances. Metal hardware tends to rust and corrode away several hours after a fire. If you have tiles, counter tops, or any other surface with porous stone such as travertine, granite, or marble, the acidic residue in soot can cause them to discolor permanently. Certain surfaces, especially fabric items, may show both visible signs of fire damage and smoke odor. Smoke releases tiny carbon particles into the air that, when deposited, are known as soot. The first step SERVPRO takes to reduce the smell of a fire is getting rid of this smoke deposit or soot. In addition to these tiny particles, smoke also contains various components that contribute to the unbearable smell that lingers after fire damage. These include toxic gases and vapors. Vapors are misty droplets that can be poisonous upon absorption or inhalation. Toxic gases come in different forms. Carbon monoxide is the most common toxic gas in a fire disaster. Household products such as plastics, vinyl, and other materials containing chlorine produce phosgene during combustion. Carpets, synthetics, clothing, and carpets release hydrogen cyanide when burning. The smell that follows smoke damage penetrates different materials after some time. Unless a professional fire damage restoration company cleans up and deodorizes these items properly, the smoky smell may remain for a long time. SERVPRO technicians can pinpoint the source of the odor and neutralize it accordingly. Do not leave your property to fate when a fire disaster comes knocking. 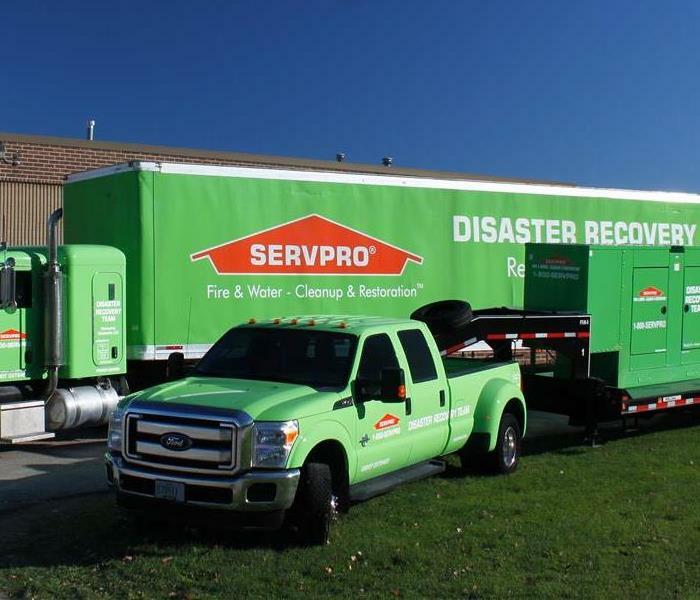 SERVPRO of East Central Waukesha County is a part of your community and can arrive promptly to reverse the fire damage. Call us anytime at (262) 782-1700! Chemical Drain Cleaners: Should You Use Them? Most people, when dealing with a clogged drain, will go out and purchase a chemical drain cleaner from their local big box store. While this is standard practice, are you actually resolving the issue or compounding it? For more modern homes with updated plumbing, these cleaners may be OK, but for older homes, the chemicals in these cleaners may create more problems. If a pipe is completely clogged when you pour drain cleaners into the drain, then that cleaner will buildup at the clog and settle in. For newer pipes, this is not a significant issue, but for older metal pipes that are thinner and less resilient, these cleaners can begin to eat away at the metal, breaking it down even more than it was and potentially leading to leaks and breaks. Chemical cleaners help clear a clogged drain through a process that heats the clog, essentially melting any grease or grime so that it flows freely through the pipe. For plastic pipes, this chemical reaction can cause the pipe to melt and deform. Therefore, these types of cleaners should rarely, if ever, be used. Again, cleaners are useful in partial blockages, but should not be used in complete blockages. The chemical reaction required to melt away a clog can be damaging to all types of piping. If you suspect that your drain is completely blocked, then use an alternative to chemicals. Chemical cleaners are not your only option for clogs. You can use a drain auger or snake, which is a tool with a cleaning or clearing head attached to a long cable stored in a drum. 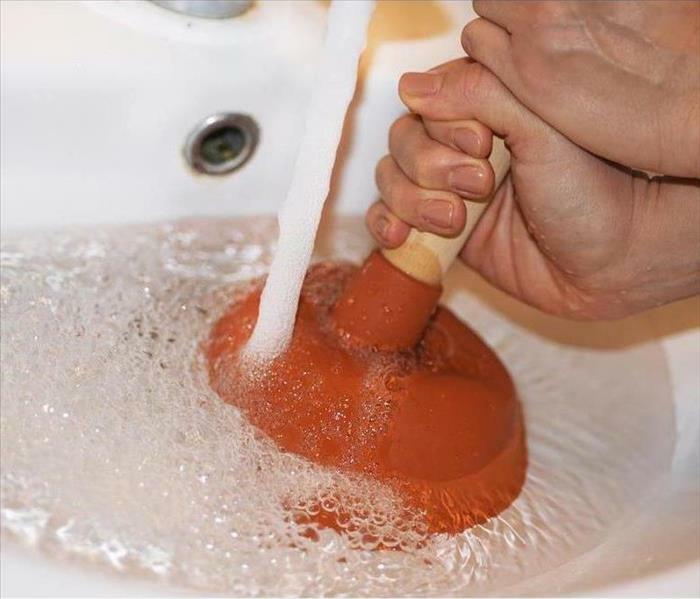 You push the snake through the drain until you reach the blockage, and then, turning the handle, work your way through the clog. However, if you are more interested in sewage cleaning or have a clog that is especially difficult, you can call a plumbing specialist in the Milwaukee Metropolitan area. A clogged drain is a nuisance, but chemical cleaners may not be your solution. Consider the age of your home and plumbing materials before using any chemical cleaners. Every year, all over the country, catastrophic natural disasters wreak havoc on communities large and small. Whether its a tornado, flooding, or hail damage, the effects of these colossal events can be felt across the nation. In the midst of the chaos and stress caused by these happenings, it is easy for business and home owners to feel overwhelmed and lost. SERVPRO of East Central Waukesha County strives to put our customers at ease, guiding them and supporting them through the STORM emergency process while providing education and knowledge on how to best navigate the situation. 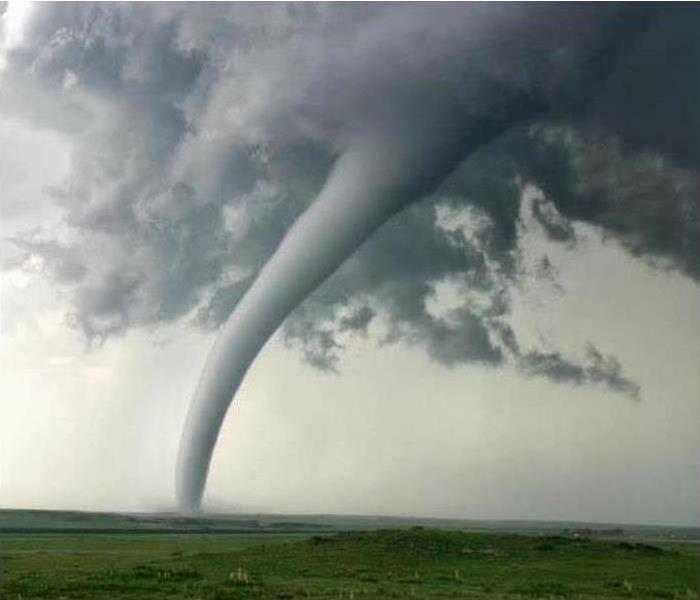 So in the event that your home or business is involved in a STORM, you can rely on SERVPRO of East Central Waukesha County (262) 782-1700 to turn a stressful situation into a manageable, professional experience. Flash Flood Warning-- the alert that many of us dread because of the concerns that our homes will be affected by it. SERVPRO of East Central Waukesha County understands that your home is more than a structure: it's your family’s furniture, clothing, keepsakes, and other belongings that help transform a house into a home. Here are some helpful suggestions on how to protect your property just in case disaster happens. Keep insurance policies, documents, and other valuables in a safe-deposit box. Keep them in a place where it's least likely to be damaged by a flood. Raise your furnace, water heater, and electric panel to higher floors if there are areas in your home that are capable of being flooded. Install check valves in building sewer traps top prevent flood water from backing up into drains of your home. Seal walls in basements with waterproofing elements to avoid leakage through cracks. Mold doesn't have to be a scary thing! In recent years, mold seems to be a buzzword in DIY world that people freak out about. They make you feel like it is everywhere in your home! There is no need to freak out but instead become informed. Mold is naturally occurring and as the years progress our houses become better sealed up from outside air. This reduces ventilation and increases the opportunities for mold to occur if the environment is warm, wet or humid. Mold on drywall and wood can be dealt with by removing and replacing the affected area and is a great solution as long as the humidity, water leaks and temperature is taken care of. The most important factor with removing and replacing is that the area is contained and that there are air scrubbers that can clean the air and remove airborne mold spores. If air scrubbers are not used then the removal will allow all the mold spores to become airborne, which can be filtered through an HVAC system all through the house. Mold on tile and tubs can be treated by store purchased Mold Stain removers. This is only for a small area and these removers should not be used on wood/drywall. If you watch DIY shows they make you feel like mold is everywhere! We hope that a little information goes a long way to calm your mold fears! SERVPRO of East Central Waukesha County does free inspections to check on any of your mold concerns, just keep calm and give us a call. SERVPRO of East Central Waukesha County knows the right tools for the job are important and understanding how to use them to dry a structure and property effectively is even more crucial. The right tool is vital for timely mitigation and to help get the business up and running again. Water can damage in two ways - absorption through direct contact and absorption of moisture from the air. SERVPRO of East Central Waukesha County must understand how to alter humidity and temperature levels to produce an environment favorable for drying. Thermohygrometers - measure temperature and relative humidity which helps calculate specific humidity, dew point and vapor pressure. All these tools help us start the process of making it "Like it never even happened." When SERVPRO of East Central Waukesha County gets called into a mold job one of our first questions is, where did the water or moisture that contributed to the mold come from? Many times it was a leaky roof or leaky pipe that went unnoticed for a length of time or a water loss that was cleaned up incorrectly. The second question is, did the water problem get fixed? This is a very important question as if we do a mold mitigation job and the water source is not fixed the mold will come back! As a restoration company that guarantees all our work, we cannot guarantee anything on a mold mitigation job if a water source is not fixed! So we are more than happy to wait for our customers to fix the water problem before we help them out! Cigarette fires cause close to 1,000 deaths and 3,000 injuries each year in the united states, according to the National Fire Protection Association (NFPA). That records just the death and injuries but what about loss of property...not just property but also nature as wildfires can be caused by cigarettes not disposed of properly especially during a drought. In the cold of winter many smokers go to their garage instead of outside. How many chemicals do you store in your garage? If you smoke just outside your garage where do you put the cigarette? We know from experience the damage cigarettes can do, if you choose to do it, use caution as we would rather not have to come clean up your house from destruction contributed to a cigarette! SERVPRO of East Central Waukesha County is certified as a SERVPRO, Inc. Large Loss Provider! Being a Large Loss franchise doesn't come easy, first you need training on every step of a large loss. Then you need to make a significant financial investment of stocking the franchise with hundreds of desiccants and even more hundreds of air movers and for this you also need storage space. For SERVPRO of East Central Waukesha County that means shelves up as high as we can get them of equipment. Another investment is a commercial grade desiccant that usually is on a flat bed (and has to be pulled by something capable). This desiccant has the ability to dry out large buildings in hours instead of days and is crucial when a commercial business faces downtime due to a water loss. Along with all this equipment and our experience, SERVPRO of East Central Waukesha County is ready to tackle any loss! SERVPRO of East Central Waukesha County is proud to be the large loss SERVPRO in Wisconsin! 4/17/2019 - Chemical Drain Cleaners: Should You Use Them? 2/14/2018 - Mold doesn't have to be a scary thing!